wonder if its condensation ? OP, how long did the engine run after sitting in the cold until you brought it inside to work on it? 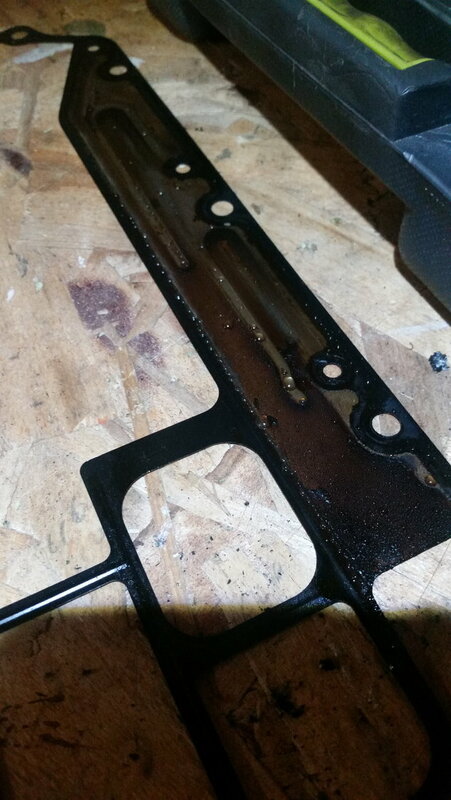 The moisture is from the air/fuel mixture blow by of the piston rings. The motor oil will keep the water suspended until the next oil change if the car is driven regularly. Stock headlights w/ moisture inside!! !